Betta fish is a very beautiful one to make your fish tank brightly colored and exquisite in looks, but it comes with some small yet necessary points to be remembered and always kept in regulation. Thus, here is a Betta fish complete care guide you should go through. Betta fish is originally called Siamese fighting fish and is the most celebrated of the Gourami family. Betta’s name comes from the ancient clan of warriors called “ The Bettah”. Betta is a tropical fish with origin traced back to rice paddy fields and standing flood plains. Betta has a life span of up to 6 years if kept properly. Betta is a combatant fish and is as aggressive as its vibrant colors. Male Bettas never get along with each other and often fight off to death. Female are less aggressive than male Betta fishes and can be kept together preferably for the breeding purpose. Female Betta fish can be placed in a group of minimum 5 in a tank of at least 12-15 gallons of water. Betta belongs to the labyrinth family of fishes and thus breathes through direct oxygen at times. They might jump out off the tank at times too. Betta fish tank mates are very few and usually dull and smaller in size than Betta. Betta fishes are best kept alone as they do not gel up well with any other fishes. The optimum tank size for housing a Betta is 2 gallons or 10 litres minimum. The Betta fish tanks choices are vast which include: Round bowls, bow front tanks, tanks with dividers, Zen looking tanks, advanced “bio” tanks. Betta comes from a tropical region and thus requires a moderately warm temperature and get uncomfortable in the cooler temperatures than 75 degree Fahrenheit. Decorations are not required in a Betta tank neither are they appreciated by the fish. But, dark caves and corners are preferred resting spots. Betta likes to stay in one place and usually do not swim all around but are territorial in tendency. Filters can be of lesser power when housing a Betta as their origin is from mostly standing waters thus, do not like high streams. The flow of the filter pump should be minimised. Betta is very sensitive to atmosphere change and get sick with slightest variations. Keeping a regular check on the conditions and functioning of the tank is necessary. Unfiltered water tanks are not preferred for housing of a Betta and if so, will require compulsory 50% water change twice week and complete water change once a week. Waste products from fishes produce ammonia which is harmful in even small amounts. The filter needs to be effective in its working to remove it immediately. Tank water cleaning for a filtered tank is easy in Betta with water change of 15-20% every week. Betta fishes are easily affected by change in water temperature and thus make it sure that the water you are adding has the same temperature as the one it is already in. Aquarium salt and water conditioners are good for Betta a they remove deadly toxins from the water. But, the amounts should be kept in regulation as they can harm the fish skin instead. Tank can be cleaned by using gravel vacuum cleaners and soft clothes but not with soap or cleaning chemical. The bacteria in the tank are good for the fish. Betta fish is carnivorous and requires a high protein meat and fish based diet. Commercial pellets can be good food choice for Betta as it includes fish meat, blood worms, shrimp mixture. Betta fish can easily get constipated due to overfeeding. It does not have a control over its food cravings. So, keep a check on the amounts required for your Betta fish’s diet. Betta requires around 2-3 pellets twice a day and not over that. Remove any uneaten food immediately from the tank. Betta fish also likes snacks from time to time. They enjoy freeze dried or frozen bloodworms, brine shrimps and glass worms. Once a week is enough for them to avoid bloating. Betta fish are highly prone to diseases as they are sensitive and have their behavioural tantrums too which affect its health. The most common of the diseases are fin/tail rot and tail biting. They are mostly related to tank maintenance and can be cured easily. Temperature change causes a lot of sickness to the Betta out of which lethargy is the most common. Use of a heater is recommended in the tank always. Infections like white spots and parasite attack like ich are one of the deadly diseases for a Betta. The best treatment for any disease treatment for a Betta is to isolate it in a similar tank rather than treating it in the same tank. 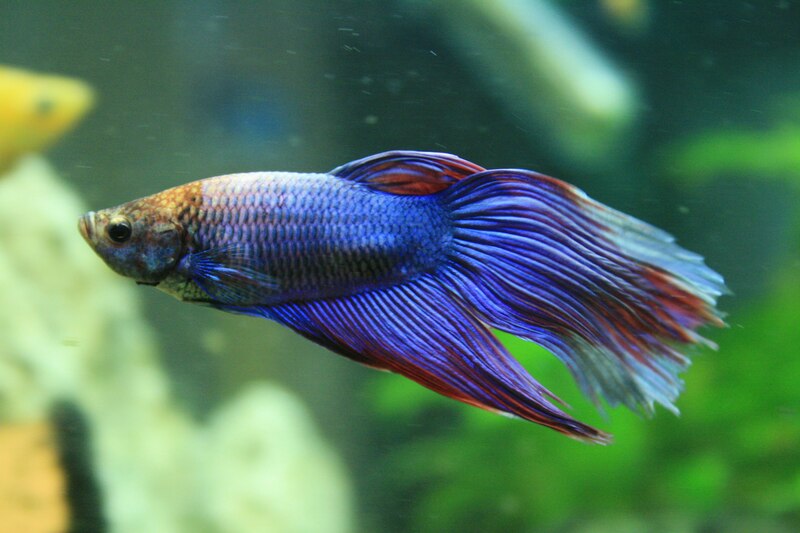 Tuberculosis is almost incurable in Betta fish. Just like any other fish sickness, Betta can be cured by similar treatments for a too. But, use of aquarium salts and Epsum salts is a better method to treat most of them.